Dr. Melissa Russell, Master of Public Health Coordinator and Lecturer and the University of Melbourne at the University of Melbourne, joins us today to discuss public health education. 1. Can you tell us about the public health program(s) at the University of Melbourne? The Master of Public Health program here at the University of Melbourne is interesting, dynamic and will challenge you in a multitude of different ways. The subjects are taught by the staff here at the Melbourne School of Population Health in conjunction with staff from the Nossal Institute of Global Health. This collaboration results in a Masters degree that takes a global and local view of the big issues in public health. There are 6 core subjects within our MPH which focus on the skills that we think every public health practitioner needs e.g. epidemiology, biostatistics, and leadership and management. There are then a further 48 elective subjects, within 9 streams of study e.g. sexual health, health program evaluation, health economics, global health and others. From the elective subjects and streams you can select your own individual mix of subjects to develop depth the areas of public health that interest you. You then have the opportunity to complete the degree by completing a research project or undertaking a workplace experience. This gives you the opportunity to consolidate what you have learnt in your coursework subjects and undertake your own piece of individual public health work, with the assistance of one of the academics here on staff or a supervisor in the workplace. 2. How long does a typical public health master’s program take at the University of Melbourne? What is the maximum and minimum time of completion for a MPH? The Master of Public Health is a two year full-time (or four years part-time equivalent) degree. However, applicants with previous experience working in health or public health related fields may be granted up to a semester of Advanced Standing, potentially allowing them to complete the degree in one and a half years full-time (or 3 years part time equivalent). 3. What do you think makes the University of Melbourne public health program stand out from other programs in the country? The program has a strong focus on preparation for the workforce, with a focus on skills such as leadership and management, problem solving and decision making. There is also a range of specialisations in which students can focus their interests and develop a real depth of understanding. The Master of Public Health also provides excellent opportunities for students to develop and maintain contacts with experts in their field through the lecturers and tutors in the course, and through their fellow students. We have a strong students club, which is involved in planning within the school and organises a range of social and educational events. Over 2012/2013 the Master of Public Health student club partnered with the School to organise three careers nights, three focus student groups and a wide-ranging orientation events for new students. The Master of Public health also offers students the opportunity to experience public health in a developing country. The subject Primary Health Care, takes place twice a year for 3 weeks in Jamkhed, India and then there is also the opportunity to apply for a Professional Practice Placement overseas. The Masters of Public Health is the ticket for working in Public Health around the globe. It is suitable for people looking to move into the field of public health from a health related field or from an undergraduate degree. It is also suitable for people already working in public health who are looking to expand their knowledge of public health or hone their skills in a particular specialisation. The Master of Public Health gives people an opportunity to look at the big picture of health and investigate the solutions to problems that can affect multitudes of people. Coming from a health professional background I could see the same health problems with the people I was working with time and time again. Public Health gave me the opportunity to think about preventing the problems at a wider level and potentially help a lot of people in my career. 5. Does the University of Melbourne offer workplace experiences for students within the course? Students can apply to undertake the Professional Practice Unit in the second year of the course. Within this unit students have the opportunity to work with a public health organisation external to the University. In the last year students have worked in India, Thailand, global health non-government organisations, sexual health non-government organisations, local and central government in Melbourne, community health settings, and private companies. This program started in 2012 and we are looking forward to expanding the program over the coming years to offer this opportunity to more students. Australian citizens, New Zealand citizens and permanent visa holders are eligible to apply for Commonwealth Supported places. These places are offered to approximately 1/3 of the students who fit the eligibility criteria. For further financial assistance student can apply for FEE-HELP or HECS-HELP. For further information about these options see http://studyassist.gov.au. I would say “Do it”! Public Health is an amazingly rewarding career; it offers the opportunity to help others, a variety in experiences, and an array of challenges. Now is a great time to be involved in Public Health, it is a growing field and there are opportunities for those looking to move into the field. 8. What do you enjoy most about your position at the University of Melbourne? The thing I enjoy most about my position is the opportunity to get to know our fantastic students. Every year I learn things from our students, find diversity in opinions or find that students will identify a new way of looking at an issue. 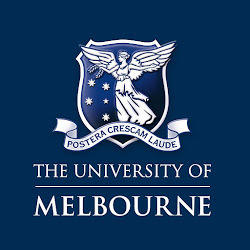 For more information on the public health programs offered at the University of Melbourne, visit them online. Thank you Melissa, for sharing and participating in this piece.